When you attend a lot of live shows—I usually catch at least 10 a month—it often feels like you know what to expect just by scanning the event info. The saying “there’s nothing new under the sun” holds some weight, but it mainly gives people an excuse to avoid music outside their comfort zone. I knew as I rushed down West Market Street through the rain to Musica that I was lined up to see two bands play rock & roll, and I left it that. 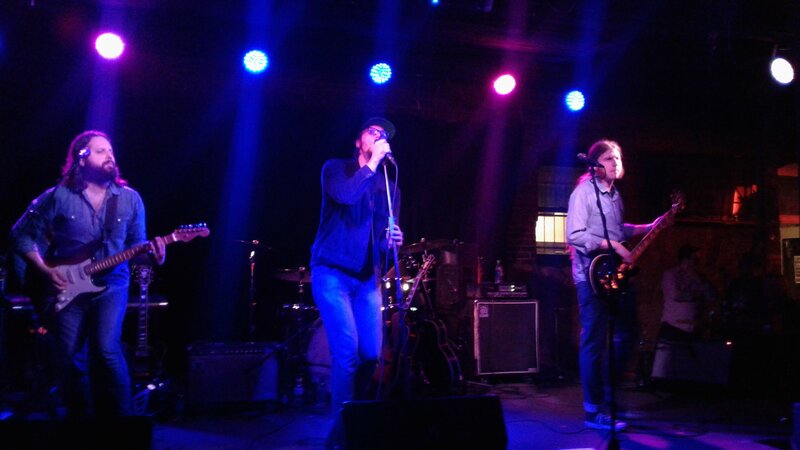 I walked into a dead silent room (which is hard to do at any live music event) on the last three songs of the Americana opening band Matthew Hoover and The Super Saints. One of those three songs was “Pass You By,” the last track on his “Talking To Ghosts” album, which Matthew gave me personally after his set. The rugged finesse in Matthew’s vocals won us all over, and the general consensus was that his band was a pleasant surprise, seeing as this was an introduction for most of the audience since we were there to see the headliner. All the members of Hollis Brown took the stage together and got right to the music. Simply put, Hollis Brown is everything a rock & roll band should be. They weren’t trying to sell headphones or dance the line between the experimental and electronic genres like most rock bands are seemingly forced to do. The band’s look was consistent—most of the guys wore Chuck Taylors and denim. I didn’t get the vibe that there was a superstar amongst session musicians, and they all seemed to like each other. Lead vocal/guitarist Mike Montali has a textbook Nashville sound to his vocals that makes their song “Wait for me Virginia,” a heartfelt tune about being disconnected from family, seem believable. “Let Me Love You” won the ladies over, and their covers of The Beatles’ “Oh Darling” (led by keyboardist Adam Bock) and Neil Young’s “Revolution Blues” (which they killed) were tasteful. Mike continuously thanked us all for taking a chance on music we’ve never heard of, and when the audience didn’t come as close as he would’ve liked, he dropped his guitar and came closer to us. From that “HEY” right before the guitar solo starts to the solos themselves (guitar faces included), Hollis Brown delivered a solid set by doing what a good band does best: keeping the focus on the music.